At QD Stores we aim to not only provide our customers with best value and best quality practices; we also aim to empower our employees to deliver first class customer service and product knowledge. Employees training and development is positivly encouraged as an on-going process and a balance of in-house, correspondence and external training courses are actively promoted. The company pro-activly encourages links with local schools and colleges through work experience and the 'Young Enterprise Initiative'. A comprehensive range of employee benifits support the competitively rated wage structure including such items as contributory Company Pension and Company Bonus schemes, all providing a progressive and successful working environment. Our 'Value For Money' retailing concept has been carefully thought out, strategically planned and dynamically implemented. The strategy is simple, consistent and successful. We work on low margins and high turnover. There are no gimmicks, no sales, just discounted goods on the shelves every day. It is what our customers expect and it is what they get. 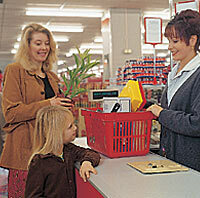 QD offers the family shopper over 40,000 product lines over a vast array of departments with goods ranging from all types of clothing, housewares, household textiles, lighting, audio, gardening and much more besides. 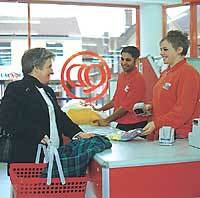 QD Stores first opened its doors in 1985 at Anglia Square, Norwich. Our 'Value For Money' concept was an instant success. We have now expanded throughout East Anglia and beyond, making us the largest privately owned store retailer in the Eastern Counties. Our ambitions are to spread even further afield through a carefully controlled expansion program.